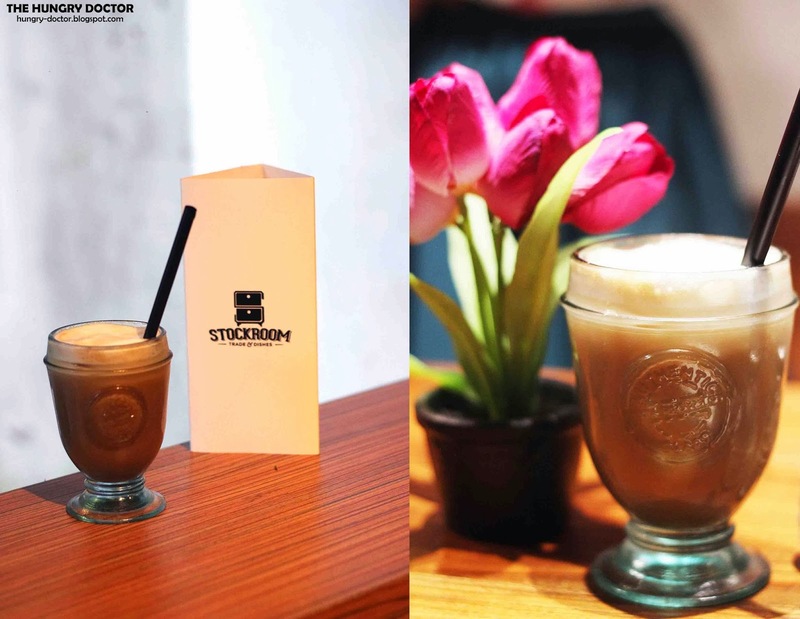 Stockroom is one of the most happening spot in Jakarta nowadays. 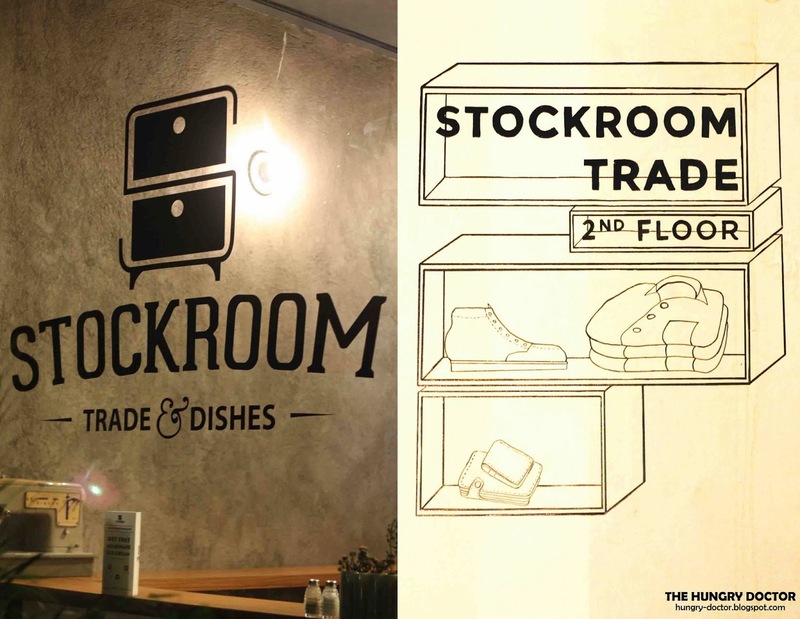 Stockroom Trade and Dishes offers you distro and food place, such a really great place in town. 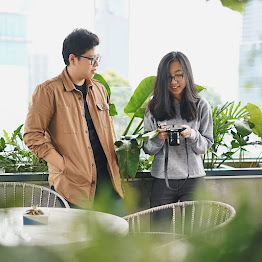 Stockroom focusses on mens clothing with the assorment of fine selected Indonesian brands, they sell cool stuffs from local brand like shirt, pants, jacket, sweater, shoes, bag, cap, wallet and some leather accessories. I really love being here. Beside that they also provide a really comfortable dining area, so it's Stockroom : Trade & Dishes. I know this place from Instagram, because they sell some local brand stuffs and the place looks great, that's why I decided to go here. Why they sell local brand? Because as we can see, our local products is not a first choice by mostly people, and here Stockroom just sell some local brand with high quality product. MAD, Oldblue, Sagara, Ftale, Havehad, Voyej, Jackhammer, Elhaus and Zevin are some of local brands that Stockroom offers and they hope will launch their exclusive product too. Stockroom means storage and disposal, doesn't have any philosophy. They're located at Jl. Kemang Selatan it's not hard to find it, it's better if you go here by Prapanca, but if you wanna come here via Jl. Bangka, just go along Jl. Kemang Raya, and you'll find McD immediately and go stright until you find KOI Gallery, take right and you'll find Stockroom on your right. Seriously they're not hard to find. Even they don't have big area but they're so comfy. I love their rustic and vintage ambience, just like you're in suburb-bar. Warm lightning and great music will make you stay here for a long time. Absoulutely a cozy spot for hang-out in town. Stockroom offers wide variety of food and mostly western. Their siganture dish is Milkshake ! Why their milkshake is so special? If you want some sour and fresh rather than creamy sweet you can choose lemonade ! They have classic lemonade, rosemary lemonade and pink lemonade. Again, I chose pink lemonade because the colour will be nice, claasic lemonade mix with strawberry syrup and fresh strawberry, seriously they're so freshening ! They also have some option for coffee lovers, but too bad their coffee wasn't good enough. The coffee was too light and too much water added, so you can't feel their coffee, and this caramel machiato also had strong caramel taste, and they dominated. So it's not like coffee based drink. Another coffee, the hot one and again they're not good enough, so I think they're not recommended for coffee break, they should improve more for this section, because the place like this was quite suit for coffee time and so shame if they don't improve their coffee. Anyway, there's no latte art at all , they should hire a barista. They have lychee ice tea, peach ice tea and strawberry ice tea. Of course, lychee ice tea is the favourite. Nice aroma and had a great level of sweetness. Just an usual ice tea, nothing to comment beside they fresh enough. Buttermilk battered dory fish served with fries and homemade tartar sauce. Yes I love fish and chips, and Stockroom had a really great fish and chips. The dory fish was well battered with buttermilk and also well deep-fried, the fish wasn't so oily and not too crunchy, you could feel the soft texture of dory and it's so delightful. French fries served with herbs too, and taste really great. I also like their tartar sauce. They had a really recommended Fish and Chips. You had to wait approximately 25 minutes for having this delicious Roast Chicken. The chicken was marinated well with salt, pepper and rosemary as the herbs. They're perfect ! The chicken skin was crispy and inside there's a perfectly cooked chicken, so tender and tasty !! Served with rosemary butter sauce and also grilled baby potato. Recommended dish here, It's worth to wait. If you come to Stockroom don't forget to try their Roast Chicken, trust me they're outstanding. One of my favourite hang-out stop so far, they had a great ambience, delicious food with affordable price, friendly staffs and also nice local goods. The price here exclude 5.5% tax. 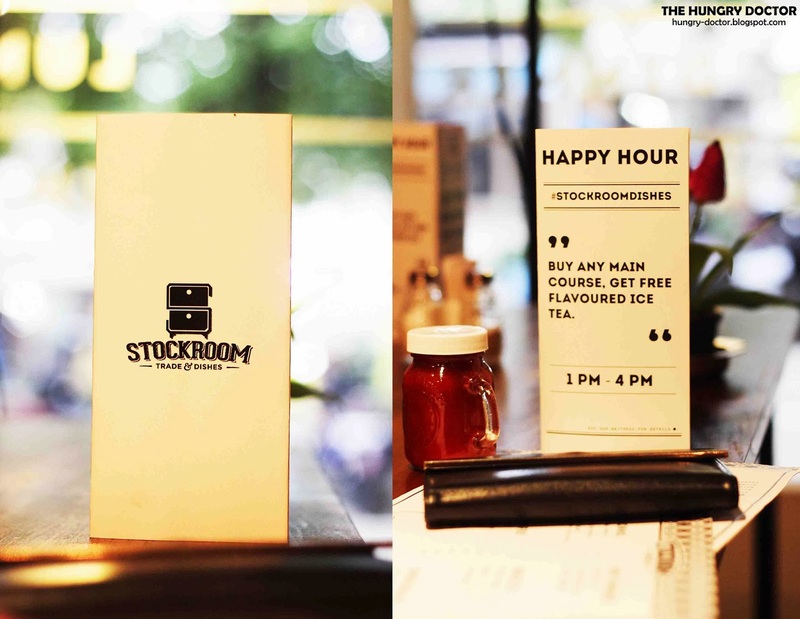 Beside the menu that I ordered, their pasta also recommended, so have a great experience at Stockroom : Trade & Dishes. Thanks for the great post ! Must go there ! !